The state’s health agency revealed its proposal yesterday of how to it wants to overhaul the state’s Medicaid system, giving a broad outline that appeased doctor and hospital groups and backed away from earlier promises of a privatized system. 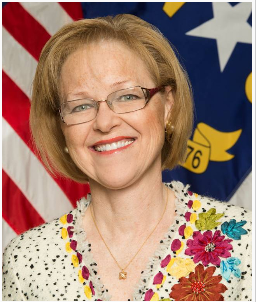 In a meeting held Wednesday for a Medicaid reform advisory group, N.C. Health and Human Services Secretary Aldona Wos and her staff said they would, with the legislature’s blessing, move to a model using Accountable Care Organizations (which can be groups of medical practices or hospital systems) to manage Medicaid patients physical health needs. Wos will present the plan March 17 to lawmakers, any changes will also need federal approval. Medicaid, an entitlement program and one of the state’s biggest expense, is paid for with a combination of federal and state dollars and provides health care for some of the most vulnerable citizens– approximately 1.7 million low-income pregnant women, the elderly, children, and disabled North Carolinians. The $13 billion program in North Carolina also historically has been one of the biggest annual unknowns in the state budget, with little room to trim expenses without cutting services and a federal requirement to offer care to all of those that fall under Medicaid’s purview. The sparsely-detailed proposal leaves intact the role of Community Care of North Carolina, a nationally-recognized health care system for keeping Medicaid costs down and improving quality of care in part by its approach of using primary care doctors to manage individuals’ health care needs. Under DHHS’ new proposed Medicaid model, providers would also have been able to control the affordable care organization or ACOs, which are health-care systems and organizations that contract with the state. Any savings or losses would be shared by DHHS and the ACOs. When Gov. Pat McCrory announced the reform effort last year, he and Wos outlined a proposal that would privatized the state-run system and contract out Medicaid services to private managed care companies. Health care providers and others quickly voiced their opposition, saying that patient care would drop if the $13 billion program was opened up to profit from the private managed-care industry. “Spending will grow,” Atlas said. He predicted that if $5 billion of the state’s Medicaid program flowed through ACOs, the state may eventually see $100 million in savings. Not mentioned Wednesday was the state legislature’s decision last year to not expand Medicaid, joining 20 other states declining the federal money to bring in additional people to the Medicaid system. North Carolina’s legislature also opted last year not to expand Medicaid, creating a doughnut hole of approximately 500,000 uninsured people ineligible for the federal subsidies under the Affordable Care Act to buy insurance on the private market and unable to receive the federally-funded Medicaid coverage. Separately, a massive technology system called N.C. Tracks unrolled last year to manage the billing and caseload information for Medicaid has had a more than rocky start, with doctors’ offices and providers facing denials and months of delays for payments. A group of doctors filed a class-action lawsuit in January against DHHS and the vendor that created the system over the problems. Both the News & Observer (click here) and N.C. Health News (click here) also have more on yesterday’s proposal.